Open drop-down window of the tournament, select 2018 Hungarian Open. Japan has only one player entered, as of now. Ma Long and Xu Xin will not be there. 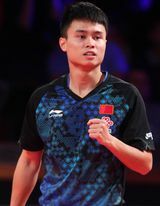 Sun Yingsha has a world ranking of 52. Yu Ziyang has a world ranking of 387. *** may not have a very good chance to advance to the Main Draw. he may not end up with a WR of 52 as Sun Yingsha, he may end up with a WR of 152. Should they play in the future, these 3 players along with Ding Ning will be in the Qualification Groups. Hazin Jeremy's World Ranking is higher than Yu Ziyang too. Mo Zhang's world ranking is higher than Sun Yingsha. Deadline for singles entry was 12-17-2017 (yesterday). Probably won't be any Japanese players there, 'All Japan Championship' is Jan 15-21. The play list is already published. ranking and "rating" should not be confused. Gotta play internationally to earn points. Hope there will be a website springing up - captures players' ratings and arranges them in descending order. I guess that many TT fans will access that site and take a look. Will this new ITTF ranking system be able to force CNT to send their top players to play more in the ITTF sanctioned events? Someone calculated the new world ranking according to ITTF new ranking system. Click the link, then scroll down to post #28. Ma Long dropped from #1 to #7. Ding Ning did worse: dropped from #1 to #21.
but Ding Ning and Liu Shiwen may be seeded or may end up in the Qualification Groups. have entered that particular event. I didn't really know how the new ranking system was going to work, so I was kind of looking forward to it... But I think this is going a bit too far hehe. Seems a little too volatile..
Hina Hayata-10935, outside the top 10 .. If Ma Long doesn't play often, he may not be able to hang on to his #7 ranking position - soon he will be outside top 10. If someone finds out that there is a website that captures ITTF players' ratings and arranges them in descending order, please let us know. then drops to #52 in January 2018 - that's a one heck of a drop. Yang Xiaoxin is a darn good player, she won Czech Open - she is well inside top 100. Will drop to #248? that's a big drop. Can not find Yang Xiaoxin's December, 2017 ranking. The ittf ranking is a farce...It all depends on how diligent these players participate in ittf tournaments. Do you have a better idea on how to do ITTF rankings if not participation in ITTF tournaments? It turned out ITTF got a better idea - but it is rubbish. Wow. Ding Ning ranked 21. Did she suddenly start sucking? Obviously not. And she just played the last tournament she was eligible and made it to the finals of the Swedish Open. The ITTF waNts the players to play every ittf tournament and while I can understand that, for the vast majority of the players, they cannot make a living just playing ITTF tourneys. The prize money is so low that they need to play their local/regional leagues. Seems very chaotic to me. How many of you even follow any other racket sport? Badminton started using this ranking system in 2007, even before Tennis in 2009. Table Tennis should have made the transition long ago. It's working well for Badminton. Prize money has increased a lot since. In 2018, there will be some small changes to the points allocated. The best players tend to play less but still rank higher up. The more events you play in order to maintain a high ranking in order to make more money in the short term, will lead to more injuries ? Not sustainable for players to maintain a high ranking. OTOH, if you play fewer events in order to stay fresh and relatively injury free, then you will be seeded lower in tournaments and require tougher matches against top seeds in order to win prize money. AND there's no guarantee your historic reputation will carry you through these many rounds to the finals.